A comprehensive look at of one of the most prestigious guitar companies in the industry. 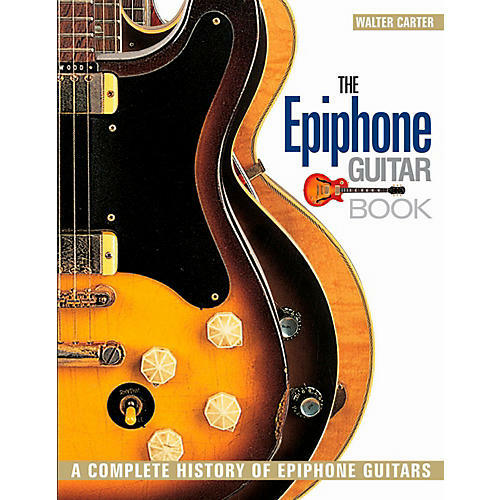 The story of Epiphone, one of the oldest and most famous guitar companies, is told by former staff historian Walter Carter. It's an epic story spanning three centuries, from Old World roots in the 19th century to the golden age of American makers in the 20th century and onward into the global market of the new millennium. It's the story of America's business, from an individual luthier to a family business and on to corporate ownership. And it's the story of American popular music, powered by Epiphone guitars, from the big-bodied Emperor that drove the swing bands of the 1930s, to the electric hollowbodies of the 1960s used by The Beatles and studio ace Howard Roberts, to custom solidbody models for such modern rockers as Noel Gallagher (Oasis), Jeff Waters (Annihilator), and Frank Iero (My Chemical Romance). Beautifully illustrated with photos of all the important Epiphone instruments and the extraordinary musicians who played them, this is a fascinating history of an iconic name in the world of the guitar. It's always good to know your history. Order this book today!